Since 1934 Fisher & Paykel have been creating domestic appliances designed to make our everyday lives that bit simpler. Constantly tailoring their products to meet the ever changing needs of the modern kitchen the brands aim is to be the most human-centred appliance company in the world. This brand vision has led Fisher & Paykel to focus on creating appliances for real people; not some showroom ideal person that doesn’t really exist. Founded in New Zealand, the company now operates in over 50 countries including the USA, Italy and Thailand. Since the very beginning they have been challenging the conventional business practices of appliance companies making them truly unique and pioneering. Fisher & Paykel’s product range includes cooking, cooling and cleaning products. The ‘Cook’ products include built-in ovens, hobs and range cookers. These cooking appliances also come with companion products such as warming drawers and built-in coffee makers. All Fisher & Paykel cooking appliances have been designed to be simple to use and easy to clean. The ‘Cool’ range features refrigerators and freezers and the CoolDrawer; an innovation exclusive to Fisher & Paykel. At the touch of a button the CoolDrawer can be transformed from a fridge into a freezer. The CoolDrawer has five temperature settings – freezer, chill, fridge, pantry and wine. The range of temperature options combined with the fact it can be put anywhere in your kitchen makes it the epitome of convenience. The ‘Clean’ collection is comprised of dishwashers using the exclusive Fisher & Paykel technology DishDrawer. These DishDrawer dishwashers are designed to fit seamlessly into any kitchen. Each drawer of the dishwasher has the unique function of working independently of the other drawers meaning different wash cycles can be operated simultaneously. The mechanisms inside provide superior cleaning and can tackle any job from fine glass wear to baked on stains on your pots and pans. DishDrawer dishwashers also feature fewer moving parts ensuring better reliability. They can be fitted with extra drawers for larger households and are ergonomically designed to minimise the effort of opening, closing and loading your dishwasher. The company’s efforts to create sustainable products go to help the environment as well as saving you money. Fisher & Paykel’s constant research into becoming more environmentally friendly has resulted in their refrigerators now consuming 60% less energy, their dishwashers using 35% less and their clothes dryers using a whopping 80% less energy than previously. These savings in energy consumption reduce energy bills as well as helping the environment; a win-win situation. The eco-friendly ethos of Fisher & Paykel is also translated into their business practices their manufacturing processes make every effort to use sustainable construction techniques and have been operating successful recycling programs for many years. 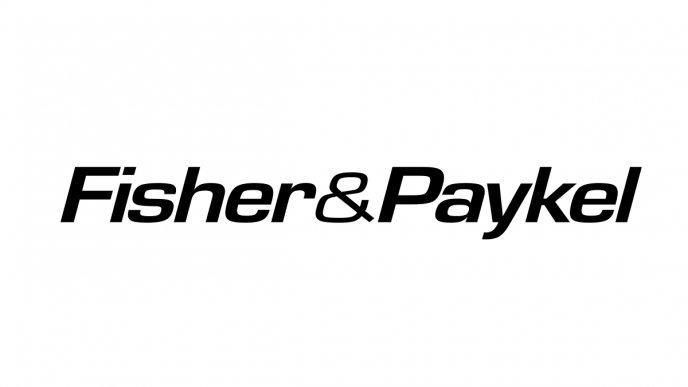 There are Fisher & Paykel stores across New Zealand but their products can be purchased worldwide through online retailers. For a customer-led company that understands the needs of real people, tirelessly working to create appliances that fit into any modern household a company like Fisher & Paykel is hard to beat.